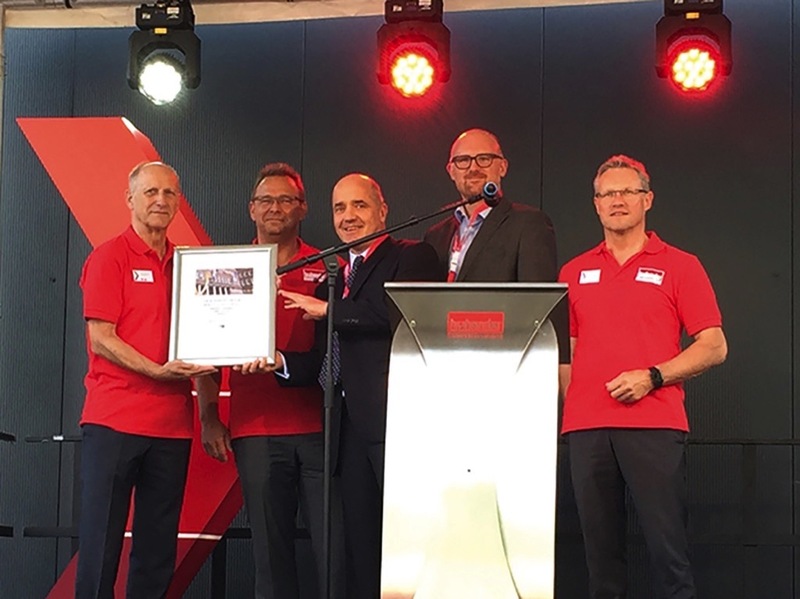 Duisburg, Germany – With a new building incorporating a large technical center and a 60th jubilee anniversary, Brabender Technologie has many reasons to celebrate. A jubilee event (60+1) was held by the Brabender team in Duisburg with the attendance of customers, partners, employees and guests from the region. The Lower Rhine CIC congratulated the company on its anniversary by presenting a certificate. Pictured f.l.t.r. : Horst Vohwinkel and Bruno Dautzenberg (both General Managers of Brabender Technologie), Dr. Stefan Dietzfelbinger (General Manager of the Lower Rhine Chamber of Industry and Commerce), Sören Link (Mayor of Duisburg), Dr. Günter Kuhlmann (General Manager of Brabender Technologie). 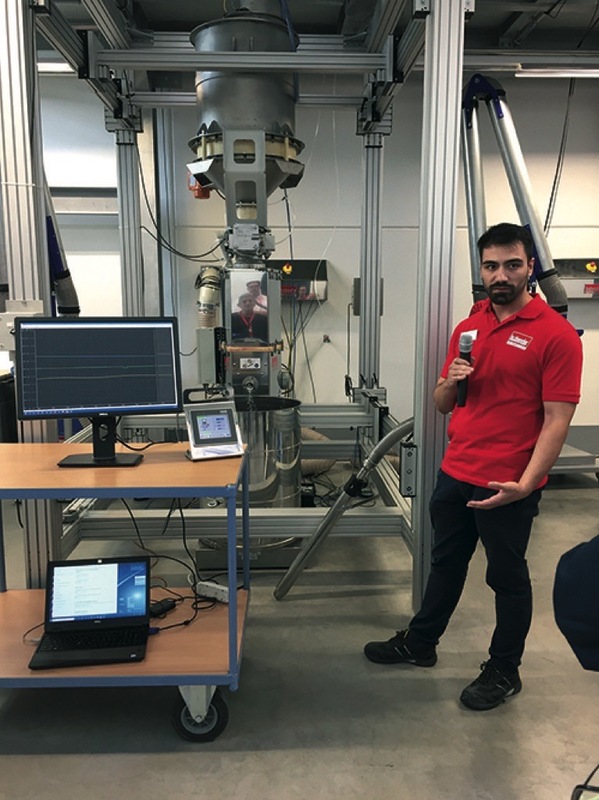 Guests were able to see the impact of filling problems up close during the course of three trials in the new Technical Center. The new technical centre comprises both the epicentre of the ‘K49’ building, where bulk material feeding trials demonstrated the opportunities that the new facility provides. Thanks to the test lab second floor, filling and refilling processes can be simulated in addition to conducting feeding tests. Guests were able to see live what a negative impact small upstream conditions can have on the actual feeding process. “The topic of feeding sounds straightforward enough, but it is not as trivial as it looks and is seriously dependent on upstream processes”, Bruno Dautzenberg explains.